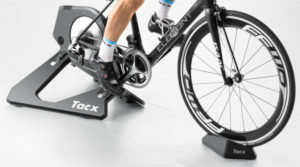 The Tacx Booster turbo trainer is a ultra high power trainer that is aimed more at those who want to work on their power at low speed. It is Tacx's Pro Team trainer for 2012 and the one that was used for the 2012 olympics. 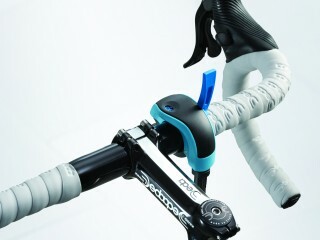 The trainer offers 10 levels of resistance which can be changed via handlebar mounted lever. The brake system contains 8 magnets which makes it the most sturdy brake system ever seeing on all bike trainers by Tacx. It also comes with the Skyliner front wheel support and it is pretty easy to put together. The Booster can be used in conjunction with the TVP (Tacx Video Player) programme that helps to keep you motivated during your workouts.